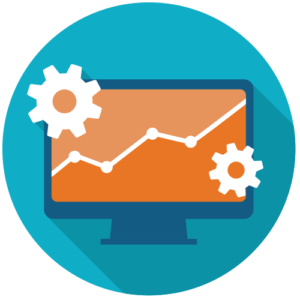 *) The Dragon1 Basic EA Rules are focused on making your data better usable, findable, complete, correct, compliant and reusable. These rules check for meaningful documentation of data like distinguishable names, titles, descriptions, available bitmaps, existing sources, owners, administrators, versions, statuses, relationships and more. 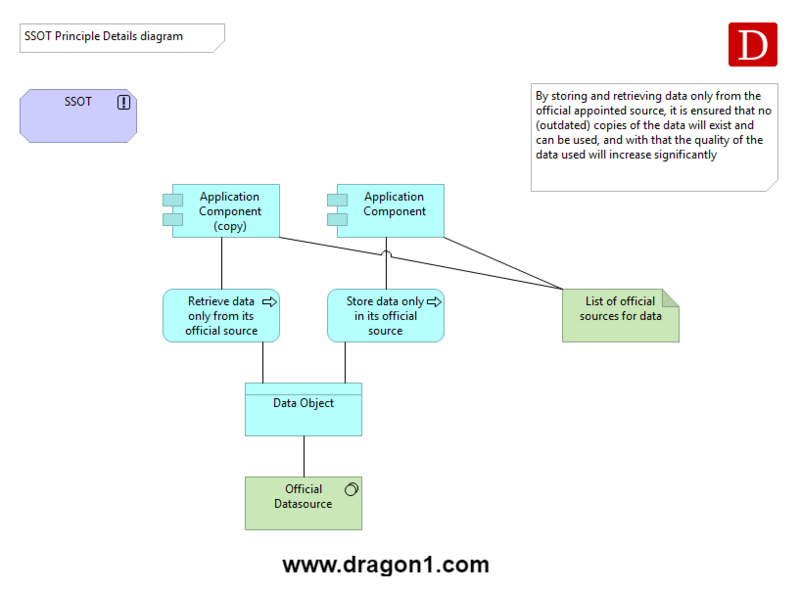 Dragon1 is convinced, based on checking architecture data for years, that any architecture data file is more usable and effective if it contains certain structures and pieces of data, like models of concepts, principles, standards or rules. 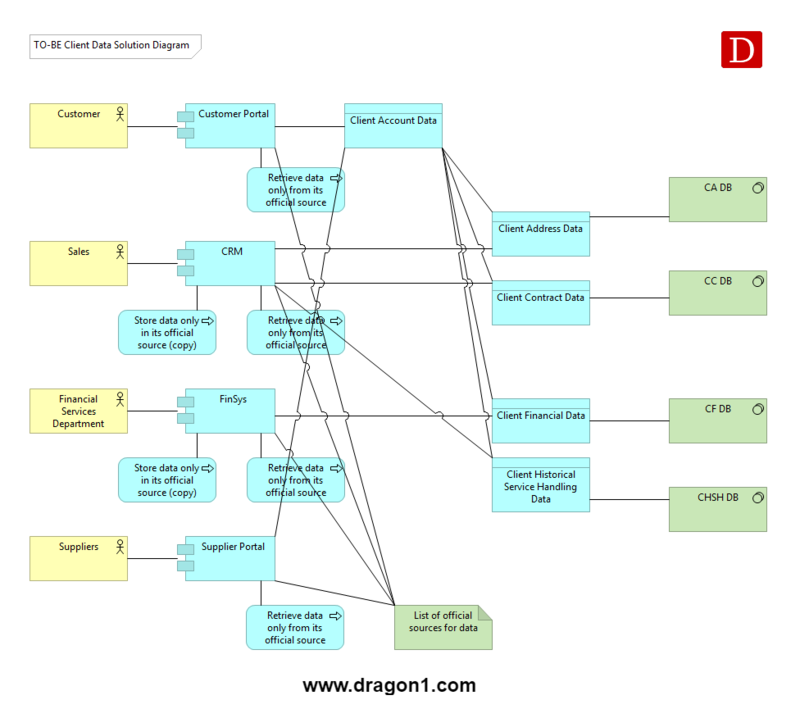 Here is a page of example architecture files that are optimized using the Dragon1 Architecture Checker. To get started with the Architecture Checker we have a couple of example files here below. Download and upload them and run the check. The files together contain the example of the principle "Single Source of Truth" in the Client domain of the Data Architecture of an organization. 1. The dossier overview diagram defines documents that should and do contain architectures with principles. 2. 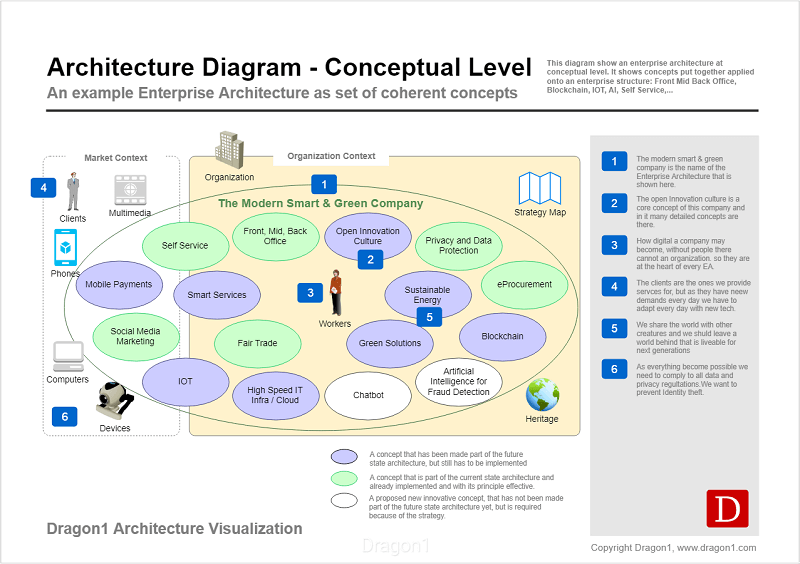 The data architecture diagram should and does contain principles for domains. 3. The principle details diagram should and does contain elements that realize a working mechanism. 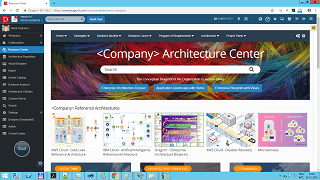 The Architecture Checker will search and find the compliance and completeness of these files on architecture, especially principles. With the Architecture Checker you can measure that the principle was defined and applied (with all its elements). 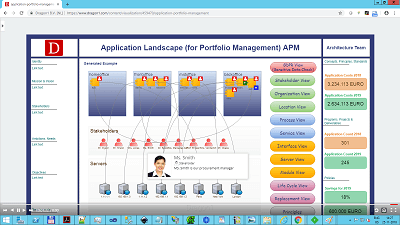 Download Enterprise Architecture Dossier as ArchiMate XML file. 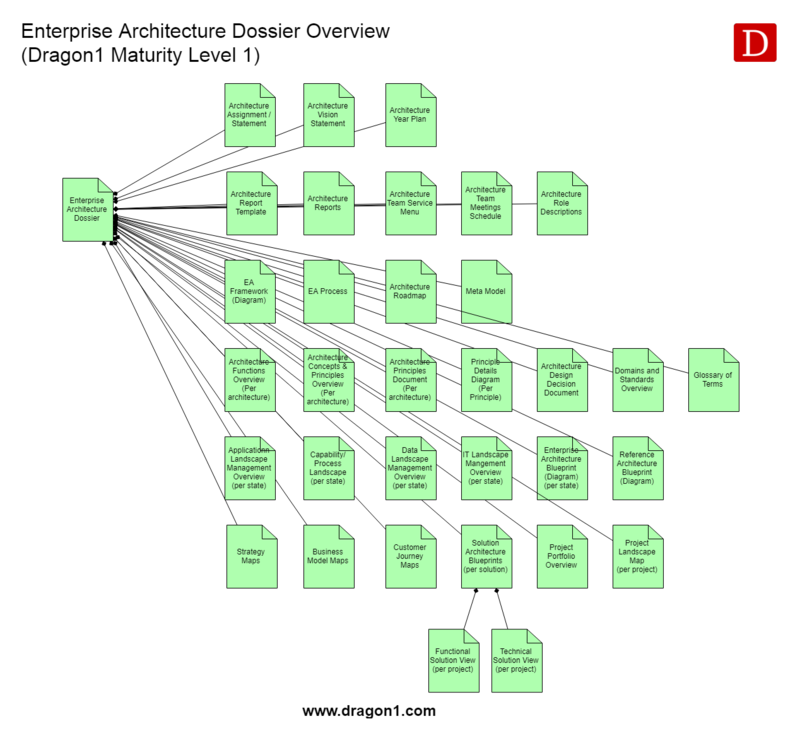 In this dossier diagram there are documents defined for the enterprise architecture that should contain principles. In this diagram there are 3 detectable principles defined for the client domain in the data architecture. Download Single Source of Truth (Principle Details Diagram) as ArchiMate XML file. In this diagram the principle is modeled in elements that should findable in solution designs. In this diagram the elements of the principle are reused and findable. 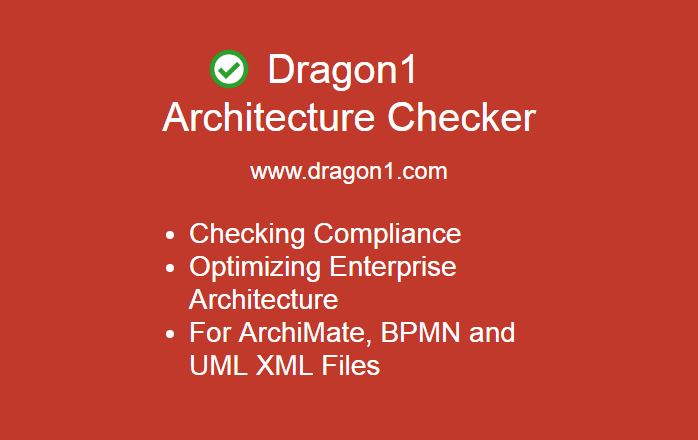 Users of the Dragon1 Platform have access to an extended version of the Enterprise Architecture Checker. 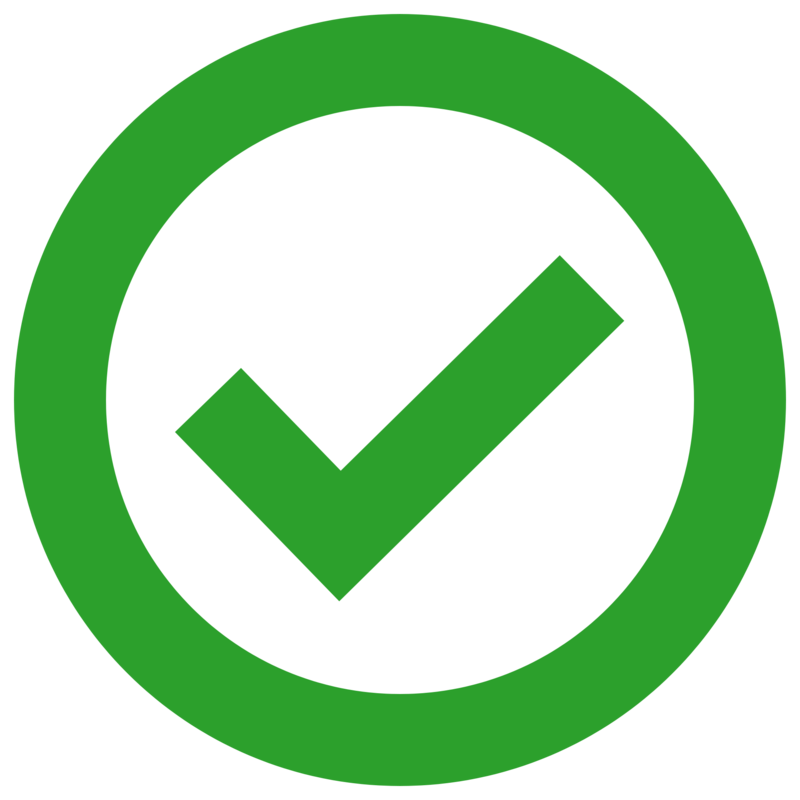 The EA Checker can work with user defined lists of principles, rules and standards and checks all the data in your repository on completeness and compliance. This is used for instance to prevent and detect fraud in business processes (see links below), for tracking and tracability of requirements to principles to deliverables in architecture, and to have an early warning system for showstoppers in a project. Create a trial account on Dragon1 to try the extended version of the checker.